You may never have taken your camera off ‘P’ or ‘auto’ mode before, although I hope if you’ve been following these articles that you’ve at least tried it! It’s important to know what the different modes on your digital camera do, and when you might need them. Program mode is the DSLR equivalent of point-and-shoot. It decides the shutter speed and aperture for you, so all you have to do is frame the image and press the shutter. This is fine if you’re in a hurry and just want the photo, but it doesn’t give you any creative control over exposure. Shutter priority mode lets you manually set the camera’s shutter speed, while it calculates the correct aperture and for the lighting conditions. In bright light, the camera will make the aperture smaller, so that there is less light coming in, and in darker conditions will open up the aperture to let more light in. Using shutter priority mode can be useful if you are shooting something in motion, and you want to freeze the action with a high shutter speed, or want to get some motion blur by using a low shutter speed. There is a risk of under or over-exposure (which isn’t always a bad thing)when using this mode. If you set a high shutter speed and the ambient light is insufficient, your camera can only open the aperture up to let more light in to the limit of its capabilities. So, if your maximum aperture is f/2.8, and you’ve set a high shutter speed in poor light, you will get an underexposed image. On the flip side of this, if you use a low shutter speed on a bright, sunny day, your camera cannot go smaller than minimum aperture, so too much light will be let in and over-expose your image. You don’t have any control over aperture choice for depth of field in this mode, which is another downside. As we have discussed before, in aperture priority you set the aperture that you want, and the camera will calculate the right shutter speed for correct exposure. You have control over the depth of field with aperture priority mode, and because shutter speed ranges from 30 seconds up to 1/8000th second, -which will cover most lighting conditions – the risk of under or over exposing is far less than with shutter priority mode. As the name suggests, manual mode gives you full manual control of the camera settings. This is the only mode I have ever used. I was lucky enough to be taught by a photographer friend when I was a beginner, and he insisted I learn to use it in manual mode from the start, so I didn’t get used to relying on program mode. It took me a lot of practice at first, but I’m glad I learned. It’s second nature to me now to quickly adjust my settings with just a glance at the subject and light conditions. I would suggest you try to learn how to use your camera in manual mode, because you will come to a much greater understanding of how ISO and aperture work with shutter speed. You will also have more creative flexibility than if you let the camera make all or part of the decisions. Remember, though – there is no right or wrong way to be a photographer! If you are happiest staying on program, shutter priority or aperture priority mode, then by all means do so. Hang on, What About ISO? You may be wondering why I never mentioned controlling ISO in any mode other than manual. That’s because in most DSLR’s the ISO will not automatically change, regardless of what mode you’re using – you have to set it manually even if you’re in program mode. If you don’t want to be stopping to change ISO all the time, you can set the ‘auto ISO’ feature on your camera, which will calculate how much ISO you will need for a given lighting situation. If you don’t have auto ISO, then set it to the lowest ISO setting you have, and increase it if you are shooting in a low light situation. What Do the Other Modes Do? 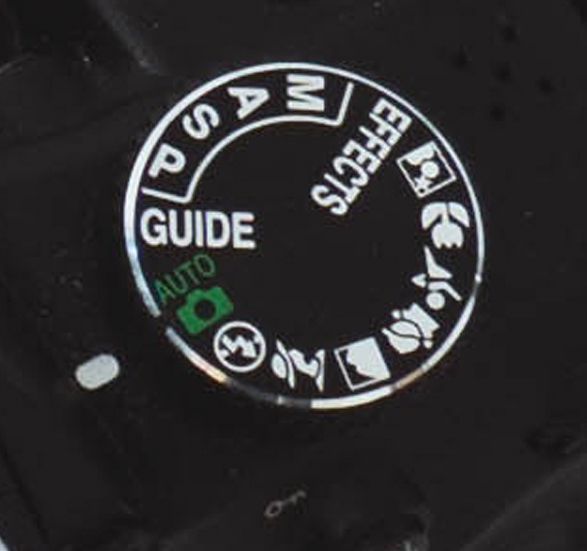 As you can see on the image of the mode dial at the start of the article, there are more modes than just the main four. These are the custom modes, and usually cover portrait, landscape, macro, sports etc. I can’t tell you much about them, because I’ve never used them, but basically, they are supposed to set your camera to the optimum parameters for each different subject matter. 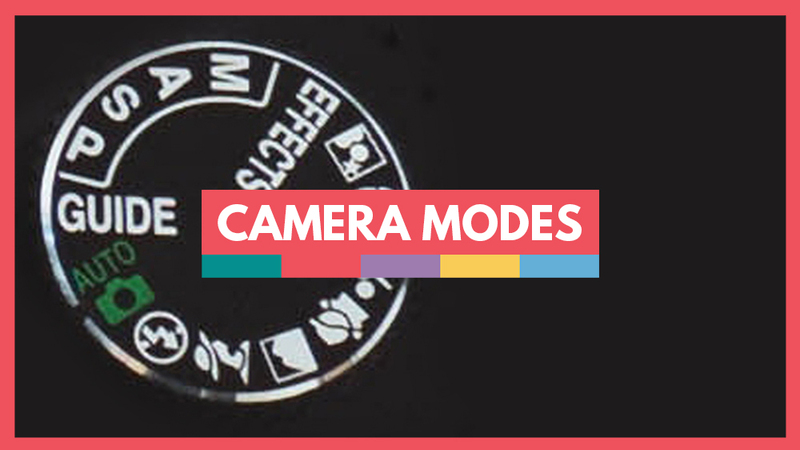 Different brands of camera have different modes, but they are all just combinations of the four main modes, with some other in-camera adjustments added, such as sharpening or changing the saturation levels. Hopefully this article has given you more insight into what the different modes are, and their pros and cons. I always encourage people to try manual mode, but never let anyone tell you you’re not a proper photographer if you don’t use fully manual mode! There is often a lot of snobbishness amongst photographers about who has the better gear, who shoots in what mode, and who’s more ‘professional.’ I say shoot in the way that you like best, there is no right or wrong.